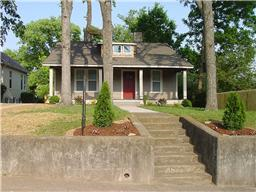 Sharp historic cottage with renovations/new construction nearby. Renovated historic cottage with 4 (decorative only) original fireplaces. New granite kitchen/tile baths. New roof, windows, HVAC. Updated electric and plumbing. Home warranty.